Managing home errands is not a walk in the park. There are many tips that you can follow to help keep your home clean and organized. In this article we dive into five amazing household tips to make your day-to-day life a little bit easier. Lemons are readily available and you should always have one or more in your kitchen. 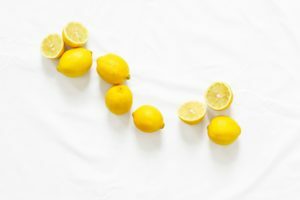 In addition to boosting Vitamin C in your body, lemon juice can do wonders to make your sink smell better. If you love seafood but you don’t like their smell, you can rub lemon juice over your hands and the smell will be no more. Interestingly, a splash of lemon juice on your vegetables adds flavor and freshness. A solution of white vinegar and water is one of the best natural cleaning products you can ever have in your home. Vinegar is cheap and can do wonders. For instance from cleaning the garbage disposal, to washing your produce, and you can as well splash a cupful of vinegar in your washing machine to soften scratchy fabrics such as towels, the usefulness of vinegar is extensive. It goes without saying that your home has toothbrushes for cleaning your teeth. But did you know that a toothbrush can do more than just keeping your teeth clean? Well, soak a toothbrush in a solution of white vinegar and hot water and use it to scrub the hard-to-reach places all over your home, such as the kitchen sink, the kitchen back-splash tiles, the bathroom faucet, and also the dreadful corners of your shower. Stains in your home are undeniably inevitable and if you want to live in a clean place, baking soda paste can aid in cleaning stains. From blood to ink, baking soda is your answer to remove the pesky stains; all you need is to mix baking soda with warm water. However, if you want to get rid of stubborn blood stains on your clothes or carpet, use cold water instead of warm. A mixture of baking soda and hydrogen peroxide can also be used to whiten your teeth. 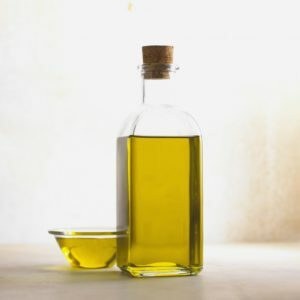 Cooking oil in your kitchen can do more than aid in your cooking. Rub little oil over your hands when chopping hot peppers and it will do wonders in preventing chemical irritant from sticking to your hands. If you love using a box grater, rubbing oil on it would prevent food from sticking to it and also enhances the performance of the grater. Running a house is not as easy as it seems. At times, we find ourselves spending a lot of time and money trying to find the right products to clean our home. Instead of breaking your bank, follow the amazing household tips above to ensure your home is cleaned correctly. Maids and Moore has a seasoned staff with the best cleaning techniques to help any homeowner.